So you all know I love colour, I love pretty things, and I love a bit of tedious needlework! So it was about time that I tried my hand at embroidery. 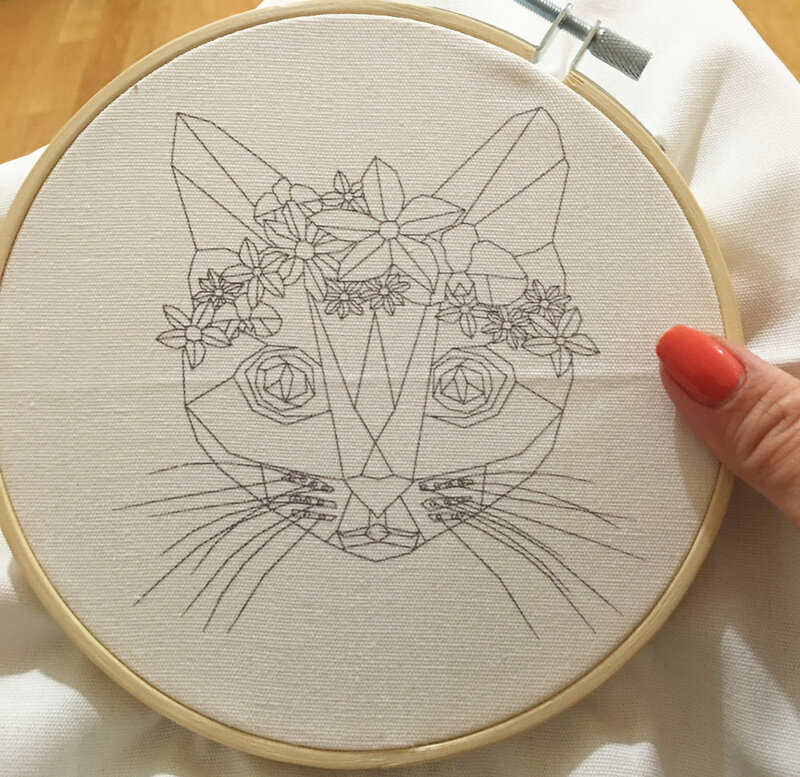 I bought the Geometric Cat Embroidery Hoop Kit, £8, from Hobbycraft which came with everything I needed for my first embroidery challenge! The had easy-ish to follow instructions (I had to look on YouTube for better instructions on French knots! ), and most of all, I love the pretty kitty picture! 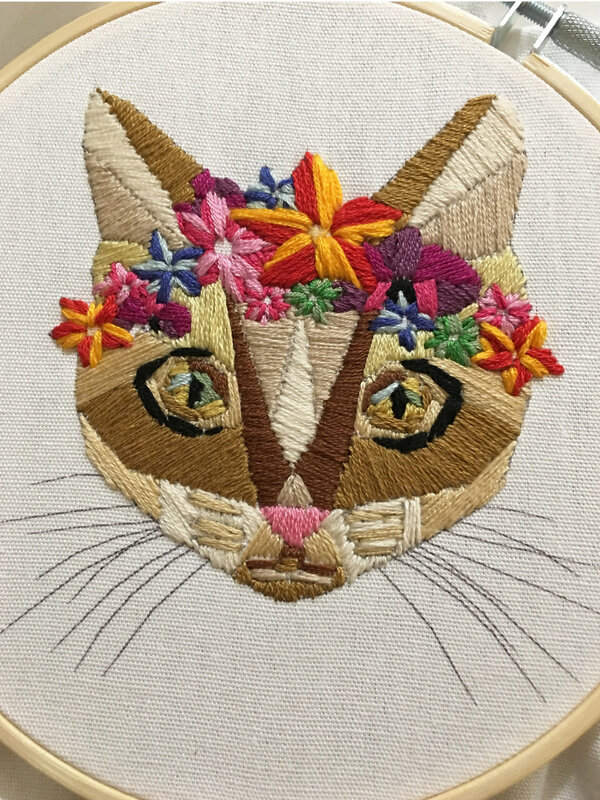 I'd definitely recommend this kit for first time embroidery and I'm now on the hunt for my next one! Progress photos of little kitty making her appearance! XO Acapulco - how the newest Shh cuff is made!